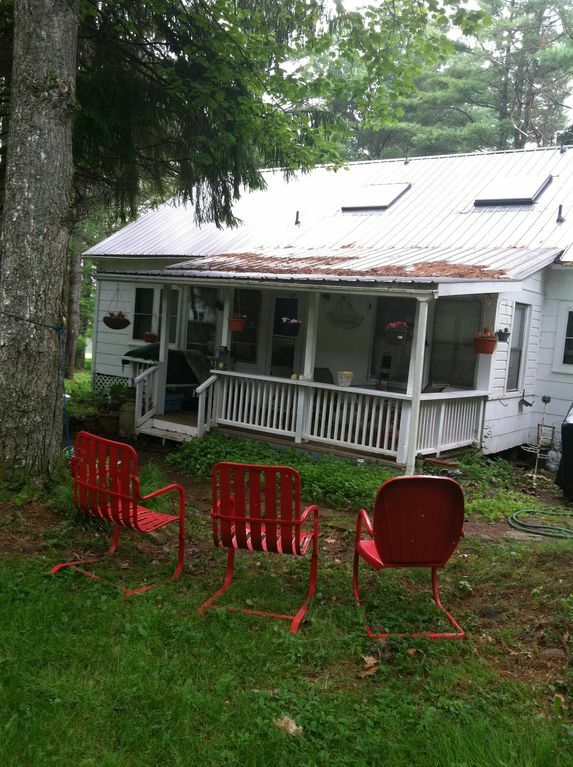 Quiet country get away with Lake, Pool, tennis courts and close to Bethel Woods in a summer community in Cochecton. Large cottage for rent, 2 1/2 hours from NYC. Beautiful grounds, large pool with a lifeguard , tennis courts, basketball, two playgrounds, Delaware River, lake and dock. Home has 3 bedrooms and a sleeping loft, two full baths, TV, wifi, all linen, gas grill, outdoor furniture, parking space, a deck and a fully equipped kitchen. The setting is beautiful and the cottage comes fully equipped so that you could enjoy yourself. The deck has plenty of seating with cushions and an overhang/awning so you could sit outside in the rain. The lake has a dock where you can sit and enjoy watching the sunset or swim or boat. There is a fire pit so you can make a fire in addition to the barbecue and plenty of outside seating including a hammock. All beds are in good condition with new mattresses.